The 2018 Toyota Sienna is a family minivan that seats up to eight passengers. 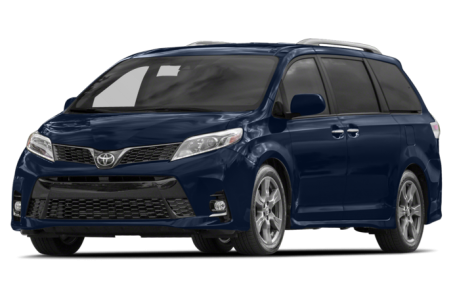 Powering the Sienna is a new, standard 296-hp, 3.5-liter V-6 engine mated to a new 8-speed automatic transmission and front- (FWD) or all-wheel drive (AWD). The Sienna has a maximum 150 cubic feet of cargo space. Eight trim levels are available: L, LE, SE, SE Premium, XLE, XLE Premium, Limited, and Limited Premium.